Schepens are international removals specialists with years of experience helping people to move to Switzerland from the UK. We provide an efficient, cost-effective international removals service, without compromising the quality of service on which we have built our reputation. Due to the heavy volumes in traffic we transport, we currently offer a regular service to most destinations and we are therefore able to provide more economical rates than other UK movers without compromising our service. Our experienced drivers have helped many people move to Switzerland from the UK and thoroughly understand the logistics of the journey. These vehicles run on air ride suspension and boast an adjustable bearing system, which ensures little or no movement of vehicle contents. These bars also enable us to create partitions between consignments which prevent cross contamination. Our vehicles are also alarmed, offering additional security and peace of mind. Why use Schepens for removals to Switzerland? We take pride in the success of our family-run business and its long history. We have been performing international removals for decades and have helped hundreds of people relocate to Switzerland. Having excellent customer service is crucial for an international removals company. Schepens will make sure that your move to Switzerland is a very positive, stress-free experience. We are extremely proud of the professionalism and capabilities of our staff. All of our movers are experienced with international moves and are trained to British Association of Removers standards. They have the skills necessary to move your possessions safely and efficiently to Switzerland from the UK. The Schepens fleet consists of very modern vehicles specially designed for removals to Switzerland. Schepens can provide you with very durable cardboard boxes and internal packing materials for your move to Switzerland. Schepens’ experienced movers understand how items should be packed to avoid damage during transit. If you take advantage of our packing service, you can rest easy knowing that your valuable possessions have been packed appropriately for the journey to Switzerland. Because we have so many years experience providing removals to Switzerland, we understand the customs processes for this extremely well. You can use our knowledge to make your move much easier. All drivers, vehicles and contents are fully insured for your move to Switzerland. Extended liability cover is also available for all removals to Switzerland. Geneva, Basel, Lugano, Lausanne, Interlaken, Lucerne, Zurich, Neuchatel, Berne and all the Swiss ski resorts. If you need removals to Switzerland, then Schepens has the experience, expertise and local knowledge to offer you a smooth, trouble-free move. IF YOU ARE PLANNING TO RELOCATE TO SWITZERLAND, CONTACT OUR FRIENDLY MOVE COORDINATORS TODAY ON 01794 323558 TO DISCUSS YOUR REQUIREMENTS! Switzerland is a small country with a population of just 8 million, which is fewer than London. Nonetheless, the Swiss speak four official languages and live in 26 autonomous cantons, each with their own constitution, legislation, government and courts. This culturally diverse country has a lot to offer for its 25% expat population. There’s a multitude of popular destinations: from buzzing, thriving cities to picturesque, stunning ski slopes to gentle and relaxing rural neighbourhoods. Opportunities: In various sectors such as technology, pharmaceuticals, biotechnology, science and finance. There are countless great jobs in Switzerland for individuals who have ambitious career aspirations. Excellent Transport: The trains are reliable, efficient and frequent; they reach even the most mountainous parts of the country. Plus, there’s always a stunning view just out the window! Scenery: Experience a sense of euphoria with Switzerland’s truly breath-taking views. The Cheese: Appreciate and admire some of the world’s finest cheese. Winter Sports: Some of the best skiing and snowboarding experiences are found in Switzerland, but this comes at a high cost. Zurich has a high cost of living but it’s a true powerhouse with a large expat community and a lively entertainment scene. This city is Switzerland’s main business destination and home to various international companies operating in the banking, art and media industry. Of course, you’re never far away from ski slopes and hiking trails if you enjoy outdoor activities and adventures. A vibrant, international city which boasts a multicultural atmosphere. Culturally and professionally, Geneva has much to offer. The transport connections are very strong and the best ski resorts are easy to reach. Do consider though it’s one of the most expensive cities to live Switzerland due to it being the headquarters of the United Nations. Bern is the capital of Switzerland, and it’s where to go if you’re looking for the essence of Swiss life. The city favours a high quality of life characterised by a safe, quiet environment that favours its green spaces over a lively nightlife. Bern was originally a medieval city and this heritage is celebrated by its designations as UNESCO world heritage site. The old city, is a maze of stunningly beautiful medieval cobbled street, located on the picturesque River Arne. Well-known as the student hub of the country, Lausanne is perfect for students or those who are young at heart. This university town achieves an ideal balance between Swiss and European culture. This is expressed through its large expat population, vibrant nightlife, stunning architecture, and the variety of cultural events that run throughout the week. Considered the European culture hub, Basel is a great home base for expats. The city, located on the magnificent Rhine, comprises small, winding backstreets in the old town which link to contemporary shopping districts and over 40 museums. Transport connections are excellent in Basel due to its sea port, international airport and close proximity to Zurich and Bern. Hop over the boarder to shop: Grocery shopping is expensive in Switzerland so locals often tend to pop over the boarder to France or Germany. Public Etiquette: The Swiss are very attentive when it comes to observing rules. They are also very reliable and punctual. There is no need to tip: A service charge is typically added to your bill in Switzerland. Shut on a Sunday: Get used to the majority of stores being closed on Sundays. To compensate, the Swiss do relish a good market on all other days of the week. Swiss cuisine has several regional inspirations including French, German and Italian cuisines and also features in many dishes specific to Switzerland. Historically, the country comprised a farming culture, so traditional Swiss dishes tend to include simple ingredients such as potatoes and cheese. One of the cultural delights of living in Switzerland is that different regions have their own traditional cuisines. Look out for Basel’s roasted flour soup and Zurich’s veal and mushroom dish. For over a century now, Schepens has been moving families to cities across Switzerland. We’re a fourth generation, family-owned business with the goal of minimising the anxieties caused by international removals and relocations. All our clients are allocated a dedicated Move Co-Ordinator who work with them to create a removals plan, and provide support every step of the way. We ship regularly to Switzerland which means that we’re able to offer flexible scheduling, and cost effective removals options for movers. Switzerland has one of the world’s most successful economies, largely due to decades of political stability and monetary security. It is widely considered to be one of the safest countries for investors and benefits from a significant amount of foreign investment each year. The Swiss government also encourages businesses by reducing the amount of red tape involved with creating and running a business. Switzerland is an excellent location to start or expand a business, which is why there is a constant influx of business owners coming from the UK. Of course, relocating a business can be a logistical nightmare, which is why you should consider hiring a professional commercial moving company like Schepens! We are a family-owned business that has been in business for more than 100 years. We employ a team of talented removers who have performed countless office removals to Switzerland over the years. They understand how to safely and efficiently move business equipment. All office removals to Switzerland are managed by one of our skilled and experienced move coordinators. They are European office relocation experts who have helped hundreds of businesses move to Switzerland. They will be available throughout the removals process to keep you updated on the progress of the move and answer any questions that you may have. This post will take a closer look at the state of the Swiss economy and explain why so many UK businesses are moving to Switzerland. We will then take a closer look at the reasons why Schepens are the best office movers to Switzerland! Switzerland has one of the most successful economies in the world. It has a very low unemployment rate (one of the lowest in Europe) while maintaining a high level of income per capita. The government is very well organised and consistently maintains a balanced budget. The Swiss economy was ranked #1 in the Global Innovation Index (GII) for 2016 and receives a great deal of praise for its strong performance. Switzerland’s infrastructure is world-class with excellent roads, modern ports, many international airports, and a sophisticated rail network. Workers in Switzerland are highly skilled, well-educated, and well-trained. Businesses can easily find specialists for any kind of position. Switzerland is perfect located for doing business with other European countries including Italy, France, Germany, and Belgium. Many entrepreneurs move to Switzerland, making it an excellent location to develop beneficial business relationships. Which cities are the best places to start a business in Switzerland? Geneva is an important location for international finance and diplomacy. Many important international organisations are based in Geneva including the Red Cross and various agencies of the United Nations. The municipality of Geneva has a population of almost 200,000 people and a very high standard of living. Many large international corporations have their headquarters in Geneva, including Mediterranean Shipping Company, Vitol, Gunvor, SITA, and DuPont. Zürich is the largest city in Switzerland, with a metropolitan population of more than 1,83 million people. The city is a transport hub with excellent rail, air, and road links to other cities. It is also a major financial centre and many banks have their headquarters in this city. Zürich is an excellent location for a business in transportation, finance, tourism, or manufacturing. Lucerne is ideally located in central Switzerland. The municipalities and towns linked with the city bring its population to around 250,000 people. It is a bustling city with a low tax rate and business-friendly administrators. Basel is located on the Swiss, German and French borders, which makes it an ideal location for businesses interested in exporting to those countries. It is a transport hub with a strong economy and extremely low unemployment rate. The largest sectors in Basel are eduction, media, banking, aircraft, and chemicals. Why are Schepens the best commercial movers to Switzerland? 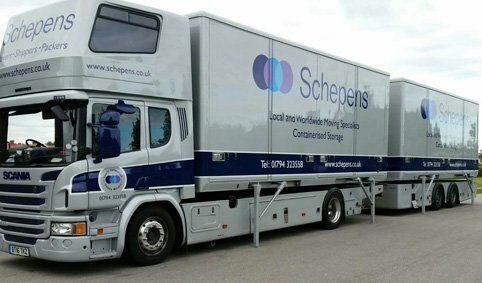 Schepens are one of the busiest commercial movers to Switzerland, helping dozens of businesses each year. Because we perform so many office removals to Switzerland, we can obtain discounts from fuel providers and other suppliers — which we pass on to clients. The regularity of our journeys to Switzerland also allows us to offer businesses very flexible delivery schedules. Because we are such a busy commercial moving company, our removers are familiar with the requirements of businesses. Our team is always punctual, professional, and efficient. We are a family owned-and-operated commercial moving company that has been in business for over a century. Our team understands the importance of customer service and we will do whatever it takes to make your office relocation to Switzerland a success. Every removal is performed by experience removers trained to British Association of Removers standards — the leading standard for professional removals. Geneva, Basel, Lugano, Lausanne, Interlaken, Lucerne, Zurich, Neuchatel, Berne and all of the Swiss ski resorts. If you require Office removals to Switzerland in the near future, choose an experienced European commercial moving company like Schepens! Contact Schepens today on 01794 323558 to discuss your requirements with our friendly staff. Switzerland is one of the most attractive destinations in the world! Its incredible natural beauty, sophisticated society, excellent infrastructure and friendly people combine to make it a really special place. Switzerland also benefits from having one of Europe’s best economies, with a low unemployment rate and a high level of productivity. It is no wonder that Switzerland attracts so many migrants from the UK! Our company has built a reputation from providing a service that is reliable, affordable, and professional. Because we perform so many removals from UK to Switzerland, we have developed excellent knowledge of the logistics involved — greatly improving the reliability of our service. We take clients through an easy-to-understand removal process that is simple and stress-free! All clients receive a detailed quote at the start of the removals process. This quote clearly details the items being moved, the removals schedule, the cargo insurance provided, and the total cost. Our charges for part load removals to Switzerland are very reasonable and there are no hidden extras. 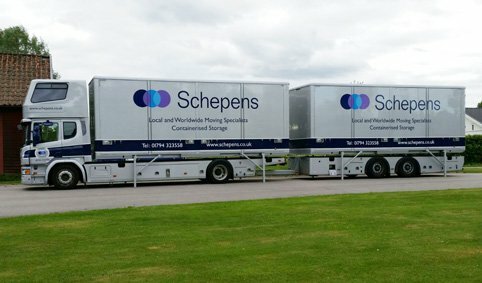 If you are interested in obtaining a quote for a part load removal to Switzerland, contact Schepens today on 01794 323558 or read on to learn more! What is a part load removal? Part load removals are an excellent way to save money on the cost of removals to Switzerland. A part load removal involves multiple clients sharing a single cargo container or removals lorry. Each client pays a proportion of the total cost of the removal. This type of removal is often used by clients looking to save money and clients who only have a small amount of cargo. The first stage of a part load removal involves preparing your possessions for the journey — boxing up items and protecting large pieces of furniture. If you have decided to use the Schepens professional packing service, we will prepare your cargo for you and ensure it is adequately protected for the move to Switzerland. Once your cargo has been boxed up, it will be picked up by one of our removals vehicles and transported to our nearest cargo preparation facility. Your cargo will be clearly inventoried and labeled before being combined on a shipping pallet — ready to be placed onto a vehicle. Your possessions are secured together using thick layers of plastic, padding, and packing tape. All of our cargo storage facilities are highly secure and monitored by security 24 hours a day. When there is enough cargo from multiple clients to fill a cargo container or removals truck, your pallet is loaded and secured using packing straps. It is then delivered directly to your home or place of business. Why use part load removals to Switzerland? The main reason to use part load removals from UK to Switzerland is that they are substantially cheaper! Because transportation costs are shared between multiple clients, you can save hundreds of pounds when you move your cargo to its destination. Part load removals are also useful for small amounts of cargo. If you have a small flat or own a small business, it is an option worth considering. The only downside to using part load removals to Switzerland is that delivery can take longer because you may have to wait for other clients who are also interested in moving to that destination. Why use Schepens for part load removals to Switzerland? Schepens is one of the largest removal companies servicing Switzerland. We move thousands of tons of cargo around Europe each year, which helps us reduce our overheads. Our company is widely recognised as being one of the most reliable and trustworthy options for removals to Switzerland. You can rest assured, knowing that we are treating your cargo with incredible respect and care. Any Swiss removals that use the road network will be performed using a vehicle from our fleet. Our fleet consists of modern vehicles that are packed with features designed to keep your cargo safe and secure during the journey. Those features include an adjustable barring system, air ride suspension and security alarms. All prospective clients receive a comprehensive quote that is 100% free and completely obligation free. This quote clearly explains the total cost and the services that are included. 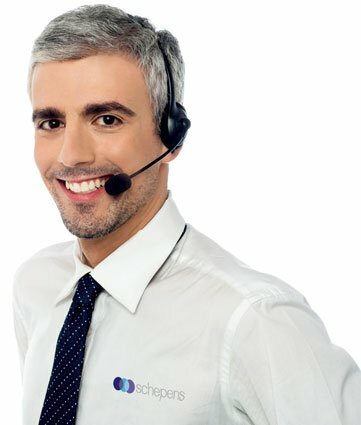 One of the best reasons to use Schepens for removals to Switzerland is our talented move coordinators. Each client is assigned a move coordinator at the start of the removals process. They are knowledgeable staff members who have performed dozens of moves from UK to Switzerland. Your move coordinator will keep you updated on the progress of the removal, answer your questions and provide useful advice. Schepens takes security very seriously! We use photographic inventories and electronic tracking for all cargo. All removal trucks feature security alarms and our removers have been security-checked. Because have performed so many part load removals to Switzerland, we know it very well. That improves the reliability, efficiency, and speed of our removals service. If you require part load removals to Switzerland in the near future, choose an experienced European removals company like Schepens! Contact Schepens today on 01794 323558 to discuss your requirements with our friendly staff. PLANNING A RELOCATION TO SWITZERLAND THIS YEAR, USE SCHEPENS! CONTACT US TODAY ON 01794 323558 TO DISCUSS YOUR REQUIREMENTS WITH OUR FRIENDLY STAFF.